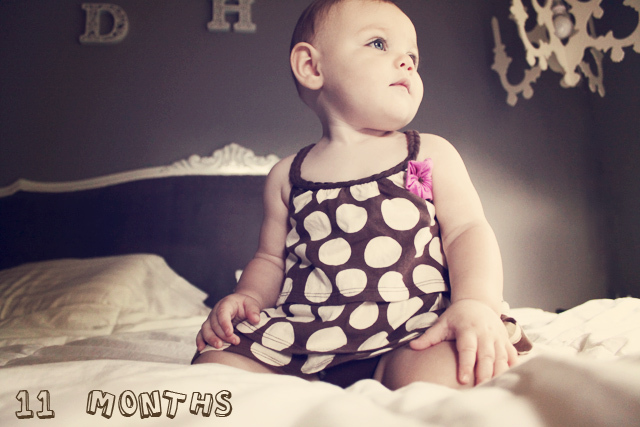 In only one month, Rowan will be a year old. carrying around little folded up pieces paper, sucking on the tip of one finger, her toy register, whimpering like a puppy, Yo Gabba Gabba! the sound of the loud hand dryers in public restrooms. 19 lbs, 4 oz and 28 3/4 inches. 10 months, 5 days- first time to Disneyland, to the mainland, to California, meeting Melissa and Josh, going on an amusement park ride. 10 months, 7 days- first time in Texas(layover), first time to Kentucky and meeting great Gma & Gpa and extended family. 10 months, 8 days- first time riding in a baby seat on a bicycle. 10 months, 9 days- first surprise birthday party(early 1st birthday since family wouldn't be in Hawaii for actual party), first time eating a little sugar/cake/frosting. 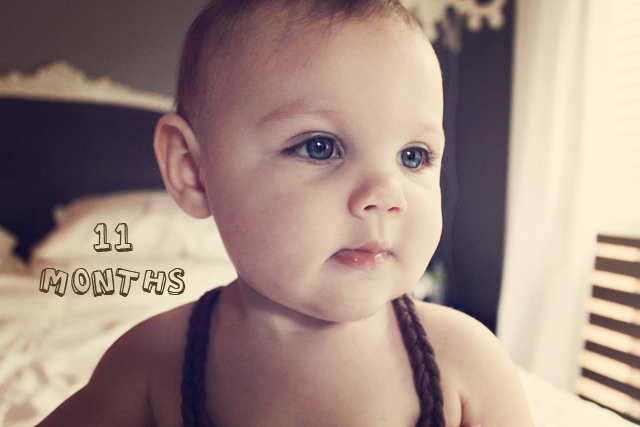 10 months, 17 days- first time to my Uncle Damon and Aunt Beth's house, first time watching fireflies, first hike. 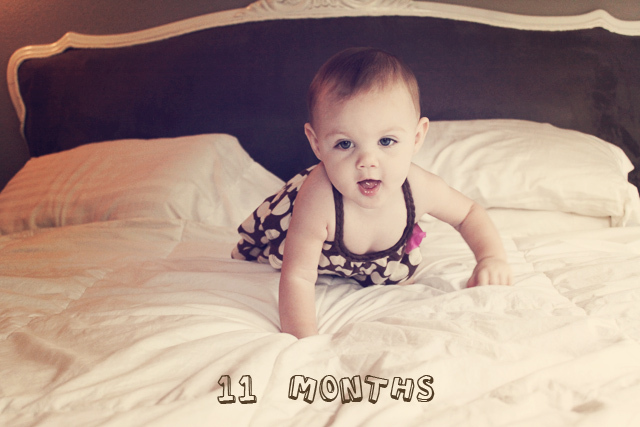 happy 11 months pretty baby Rowan!! OMG Rowan, I HATE hand dryers in public bathrooms! 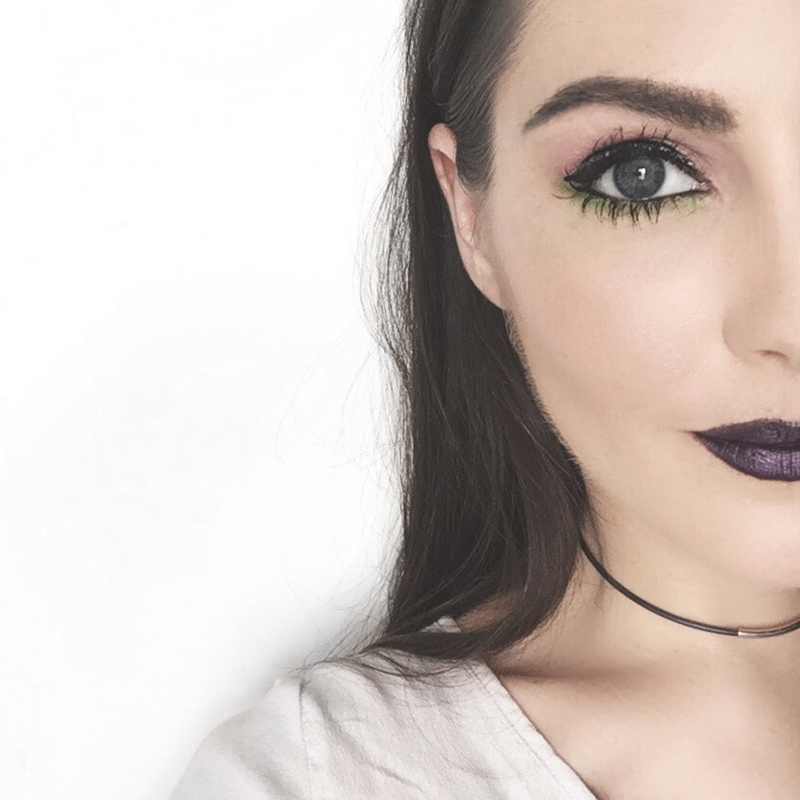 I totally avoid them, and I'm like, 25x your age! 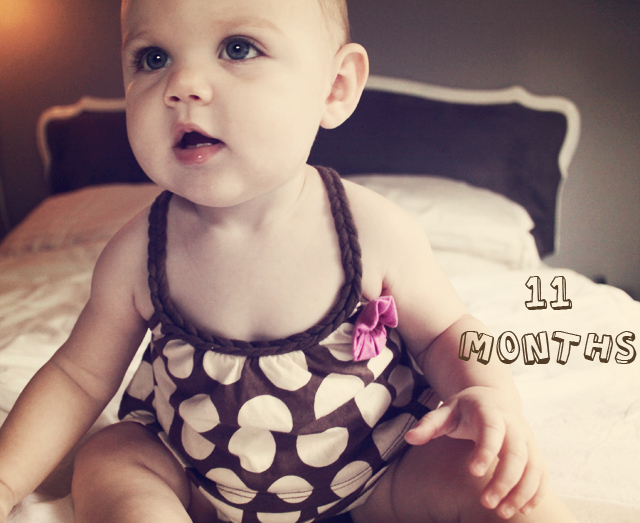 I can't believe she is 11 months already!! I absolutely LOVE that outfit she has on!